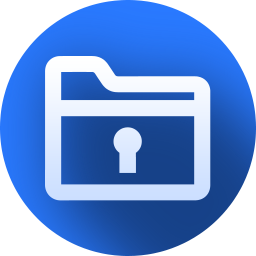 The innovative method of security, including encryption, archiving, cleaning! 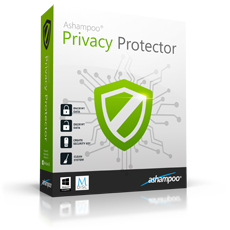 Ashampoo Privacy Protector was available as a giveaway on November 28, 2017! 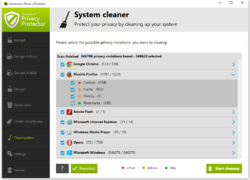 Privacy Protector offers an innovative method of security, including encryption, archiving and cleaning. Now you can trust only one fully functioning solution, which will replace multiple instruments and confusing settings, in favor of its simplicity and convenience. 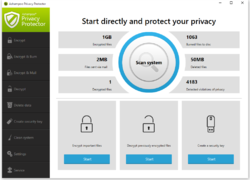 How would you improve Ashampoo Privacy Protector? dan, what browser r u using? I tried it in Firefox, Chrome & Edge. Thanks for resolving my question. So now I'm wondering why I was the only one to raise this issue and why Ashampoo made it so difficult to install - or was that their intent? Anyhow, you've been a big help, so here's a big thank you. PS: I thought JS was a big player in the web so why are the major browsers being so difficult about using it? DJ, Thanks for resolving my question. So now I'm wondering why I was the only one to raise this issue and why Ashampoo made it so difficult to install - or was that their intent? Anyhow, you've been a big help, so here's a big thank you. Danny PS: I thought JS was a big player in the web so why are the major browsers being so difficult about using it? I am a fan of Ashampoo products. Why? Ease of use; good support when needed - nothing complicated that a newbie could not understand. To those who have installation difficulties, please read the installation process and it will go smoothly. I rate Ashampoo 5 stars. Same problem as HellsBells....I sent my email address and have received no response after 2 hours. I can't imagine what else I can do. I've had an account with Ashampoo for many years. It cost me nothing to set up and gives me good discounts on their excellent software products. Of course I don't need to buy any I don't want, but what I have bought has been top class. My account allowed me to download PP, get the activation code immediately and install the app. Why not set up an account for yourselves? I've had an account with Ashampoo for many years. It cost me nothing to set up and gives me good discounts on their excellent software products. Of course I don't need to buy any I don't want, but what I have bought has been top class. My account allowed me to download PP, get the activation code immediately and install the app. Why not set up an account for yourselves? I haven't had a chance to use this; I will later tonight- but I'm looking forward to it! This looks like a decent program, and I use one of Ashampoo's other programs, and it's pretty decent. I wonder about tracking, that's the kind of thing that if it's on your computer, I kinda feel that it's already too late, and I'm curious how much it helps to remove the stuff afterwards. Also wonder what it can do beyond my browser settings (set to clear basically everything at close). Either way, looking forward to it, and thanks for GaotD! Surprised that there aren't more comments..... I haven't had a chance to use this; I will later tonight- but I'm looking forward to it! This looks like a decent program, and I use one of Ashampoo's other programs, and it's pretty decent. I wonder about tracking, that's the kind of thing that if it's on your computer, I kinda feel that it's already too late, and I'm curious how much it helps to remove the stuff afterwards. 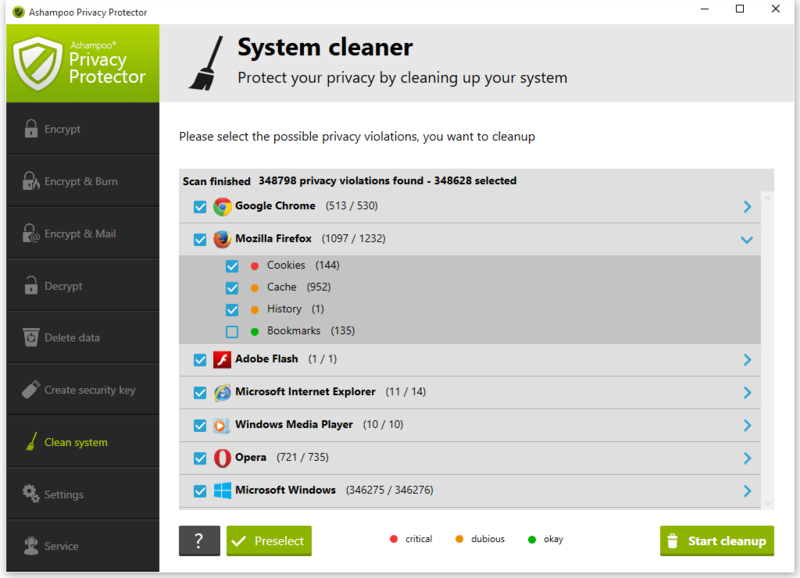 Also wonder what it can do beyond my browser settings (set to clear basically everything at close). Either way, looking forward to it, and thanks for GaotD! Got the code - its not removing the 40 day trial...... No matter how many times you try. Downloaded OK to a Win7--64bit PC, but clicking on the "get free activation key" button does absolutely nothing. "get free activation....." results in nothing/no actions and Ashampoo apparently doesn't care enough to read these comments or respond, so will delete the download and move on. 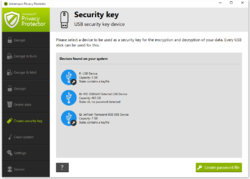 The free activation key apparently does not work. Anyone successfully downloaded and installed? HellsBells, After over 3 hours, still the same problem. Clicking on the "get free activation....." results in nothing/no actions and Ashampoo apparently doesn't care enough to read these comments or respond, so will delete the download and move on. The free activation key apparently does not work. Anyone successfully downloaded and installed? So why the negative? Now it has been several hours since I have nothing for my download. I even went to the Ashampoo site and asked why I can't get a registration code, but no response as of this time. Actually, how many people have downloaded AND installed this app!? HellsBells, So why the negative? Now it has been several hours since I have nothing for my download. I even went to the Ashampoo site and asked why I can't get a registration code, but no response as of this time. Actually, how many people have downloaded AND installed this app!? I just installed it, no problem. 5 minutes. Clicked the activate link, web page opened, entered my email, entered my password (I did have an account, I like their screencap program), go the activation.... It's scanning now. HellsBells, I just installed it, no problem. 5 minutes. Clicked the activate link, web page opened, entered my email, entered my password (I did have an account, I like their screencap program), go the activation.... It's scanning now. HellsBells, Go to the AShampoo website and create an account...make sure your browser allows scripts to run..I downloaded,the zip file, extracted it, hit "setup", clicked on "Get Free Activation Key" where it took me to the website,,since I already have an account, logged in and then a page popped up with the activation key..that and they sent it to my email. Uri, I've used Ashampoo software for years. It doesn't have licences that expire.